Large cuts of meat intimidate me a little bit. Give me a pound of hamburger, a whole chicken, or a filet of salmon, and I'm a champ. But place a rack of ribs, a leg of lamb, or a brisket in front of me and I'll have to pause and think for a minute. Or twenty. And look up recipes and look at cookbooks and give myself a pep talk. Then I'll begin. 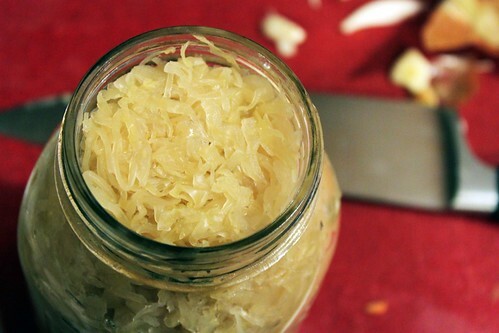 I chose to prepare it with sauerkraut, sweet potato, apple, onion, and garlic. After consulting The Flavor Bible (my favorite kitchen reference book, hands down), I chose a mixture of sage, rosemary, bay leaf, cumin, and whole black peppercorns to season the dish. A little slicing and dicing and it all went into the slow-cooker. Then I waited. Success! 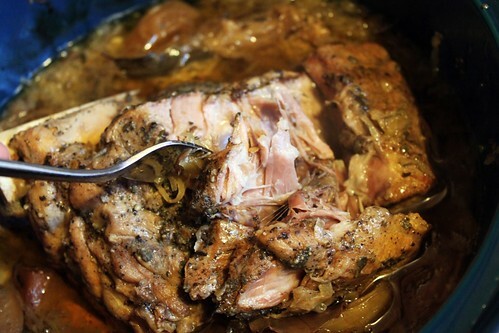 The cooked pork is so moist and tender that it can be sliced with a spoon. 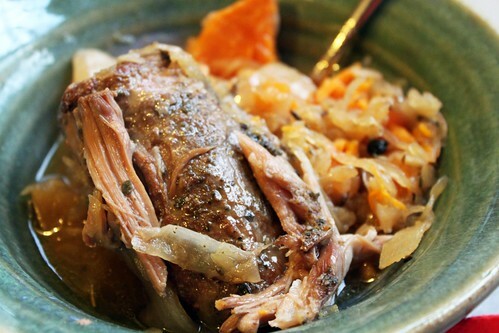 The vegetables and apples are sweet, sour, and salty, swimming in a wonderful seasoned porky broth. The flavors and ingredients in this dish are, admittedly, much better suited for autumn or winter than early spring, but it is wonderful all the same. The heart wants what it wants, what can I say. Hooray for another meat success story! My confidence is growing. Organic pork is free from hormones and antibiotics and will yield a more flavorful, moister meat. Try looking for locally-produced and responsibly raised pork at your local farmer's market, food co-op, or natural foods store. If you can not find it locally, you can find high quality meats for mail-order online. 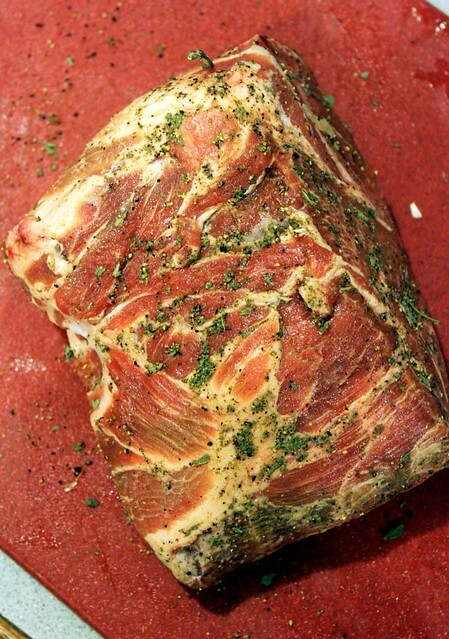 While it is somewhat more expensive than commercial pork, I was able to find locally raised organic pork shoulder for $3.99/pound at the food co-op, which I consider a great deal for such high quality meat. The herbs and cumin add a touch of complexity and nice flavor to the dish, without being overpowering or heavy. Make sure your herbs and spices are fresh for the best effect. Anything older than a year may be better suited for the compost pile than your kitchen. Buy spices in small amounts, store in airtight containers, and use often for best freshness. Coat inside of slow-cooker with 1 Tbsp of olive oil. Add apples, sweet potatoes, sauerkraut, onion, garlic, rosemary, sage, cumin, and black peppercorns, and stir to mix, then lay in bay leaf and add broth. Season to taste with salt and pepper to taste, and serve. You can remove the pork and shred it, and serve vegetables on the side, or serve everything together with a scoop of the broth, like a hearty stew. Either way, it is delicious. For an extra treat, serve with horseradish sauce or whole grain mustard.